Question of the Week: Who’s Responsible for Addiction? The first week of January was brimming with activity for life sciences companies. In DC, former Eli Lilly exec Alex Azar appeared before the Senate Finance committee for his second confirmation hearing in his bid for HHS Secretary. Azar, pressed on his pharma ties, indicated his intentions to increase biosimilar competition and to promote value-based initiatives and pricing while distancing himself from one of the President’s oft-cited plans to lower drug prices: allowing Medicare to directly negotiate. Senate Finance will vote on recommending his nomination to the full Senate later this month. On the other side of the country, biotech execs flooded San Francisco for the annual J.P. Morgan Healthcare Conference. One conference highlight getting a lot of attention: there were more CEOs named Michael in attendance (22) than female CEOs—period (20). This striking stat sparked a conversation about what it’s like to be a woman in biotech and about female representation and experience in all STEM professions. On Tuesday, the Senate Health, Education, Labor and Pensions (HELP) Committee convened to hear testimony from journalist and author Sam Quinones whose book, Dreamland – The True Tale of America’s Opiate Epidemic, details the devastating impact that prescription pills and heroin have had on American communities. Quinones highlighted a number of considerations that he sees as key to addressing the crisis: long-term, meaningful community involvement; a “Marshall Plan” for American economic recovery; reducing the overall supply of opioids; and rethinking how and where treatment is offered, including the use of correctional facilities as treatment centers. While Quinones didn’t single out pharma as the sole cause of the epidemic, he noted that the industry’s desire to extend the use of opiates from limited cancer pain management to widespread chronic pain, as well as salesforce wars between pharmacos who hired up to 100,000 reps definitely contributed to the problem. Quinones also stated that the American desire for a “quick fix” for pain has also played a huge role in the problem. At the heart of Quinones’ testimony is the fact that solving this epidemic will take time, a tough reality given the number of people dying from overdose each year. The problem is not only about prescribing patterns or drug access, but rather it’s rooted American socioeconomics. As Quinones said, the “antidote to heroine is not naloxone. It is community.” Long-term, sustainable federal funding to help communities tackle the epidemic will play an important role, but ultimately, solutions must be local. Not dissimilar to comprehensive patient assistance programs for medicines, opioid addiction treatment and prevention programs need to understand the patients, their communities, and accessibility to both medical and behavioral health care. Solutions to address opioid addiction need co-development by advocates, clinicians, social workers, law enforcement, and others working together to ensure that the programs are designed to function with the resources and needs of that community. As we say so often in healthcare, one size does not fit all—and that certainly applies to solving the opioid crisis. As the previous story illustrates, companies are often held responsible in the eyes of the public for consumer actions, including misuse and abuse of products. We often see this in the pharma industry, but this week, two activist Apple investors pushed the company to find ways to restrict children’s access to mobile phones because of their ‘addictive’ qualities. Apple, saying they “are committed to meeting and exceeding [their] customers’ expectations" promptly responded that they are working on expanding their capabilities that protect children, including additional parental controls. As we’ve seen in pharma, products are being evaluated (and re-evaluated) not just on individual health risk/benefit profiles, but their public health profiles as well. And with the national discourse brimming with social issues, from addiction to corporate profits, activists are seizing opportunities to pressure companies into changing practices in very public ways. In this environment, companies must prepare to respond swiftly and transparently. Simply putting a product on the market with expectations for consumers to act responsibly by following label indications and warnings (or not swallowing laundry detergent pods), is no longer good enough. We advise clients that may face public health concerns to go beyond stating that you take your responsibility “very seriously.” Demonstrating this concern by communicating tools or resources available for consumers—and even publicizing a willingness to investigate new options to mitigate social concerns—will win you more favor and limit “profits over people” criticism. This week Facebook announced that, in an effort to maximize consumer’s “meaningful interactions,” the site will be prioritizing content shared by users while de-emphasizing content from publishers and brands. In a blogpost, Facebook acknowledged that brands will may see reach and referral traffic decrease as a result of this change. What to do? Well, Facebook is putting the onus on brands to create more engaging, sharable posts that garner actual interaction from users in the form of likes, shares, comments, views, etc. 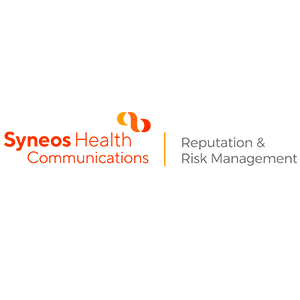 Luckily, the Syneos Health team is ready to help, so contact Chris Iafolla, Head of Digital and Social Strategy, with any questions or concerns.